The world's first flight of a motor-driven, heavier-than-air machine took place at Kitty Hawk, North Carolina, on the 17th of December, 1903. Orville Wright was at the controls of the first flight which lasted 12 seconds and covered 120 feet. Image online, U.S. Air Force Historical Research Agency. On the 17th of December, 1903, two normally cautious, deliberative, methodical, bicycle-shop-owning brothers did something surprising. They disregarded every aspect of safety to attempt the world's first powered flight. The wind chill over the ocean would be about 4 degrees Fahrenheit - pretty cold for someone flying, outside and unprotected, on Flyer 1. Just three days before, Wilbur (who had won the coin toss determining the first to fly) took control of Flyer 1 only to make a launch "misjudgment." Will's telegraph describing the misadventure, recorded by his father on December 15, reflects his great disappointment. Even though weather conditions were extremely unfavorable on the 17th, the brothers wanted to be home for Christmas. In an uncharacteristic action, which has amazed historians ever since, the Wrights put safety second and passion first. After a while they shook hands, and we couldn’t help notice how they held on to each other’s hand, sort o’like they hated to let go; like two folks parting who weren’t sure they’d ever see each other again. At about 10:30 a.m. Orville, who had lost the earlier coin toss to Wilbur, took the controls. The wind was gusting at about 27 miles per hour. Launching from a homemade track apparatus (which the brothers called their "Grand Junction Railroad"), Orville flew 120 feet in 12 seconds. Since no one had ever flown before, the Wright brothers knew they were taking a chance. They had their life-saving crew standing by. Wilbur flew next. His flight took him 175 feet. Orville was pilot-in-command of the third flight, traveling 200 feet. The last flight - ever - of Flyer 1 was amazing. Wilbur had a good feel of the controls. He flew 59 seconds and covered 852 feet before he landed, breaking the rudder frame, after he lost control in a wind gust. The test flights (check out this simulation) proved Orville and Wilbur Wright had conquered the initial problems of flight. They had filed an application for their new invention with the U.S. Patent Office nearly nine months before. But ... they had more work to do before they could make a practical airplane. Flyer 1 was underpowered and hard to control. It would only fly in a straight line for about a minute. For the next two years the brothers improved their designs. They set up the world's first test flight facilities at Huffman Prairie, today the site of Wright Patterson Air Force Base. By the end of 1905, with Flyer 3 still including parts which looked like they belonged on a bike, Will and Orville were flying figure-eights over Huffman Prairie until their fuel ran out. They had solved the practical problems of flight. By the following year, the Wright brothers had developed their first military flyer. 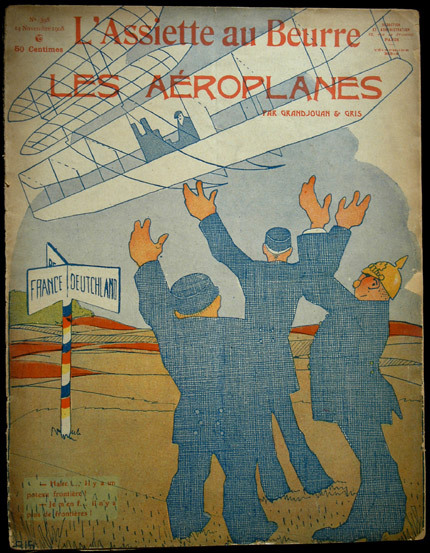 Five years later, when planes were still in their infancy, Europe was embroiled in "the great war." The Wright brothers' invention of powered flight would play a significant role in that conflict. Bos, Carole "THE FIRST FLIGHTS" AwesomeStories.com. Aug 01, 2008. Apr 25, 2019.